It's easy to start an article with a quote from the trailer of the film being written about. Except, Faraz Arif Ansari's Sisak has none to offer. 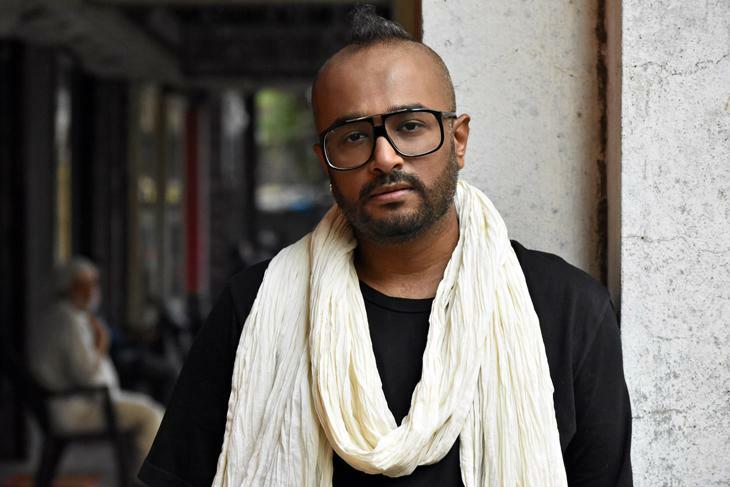 Sisak, a 20-minute short touted as India's first LGBTQ silent film, will see its first ticketed premiere hosted by Gaylaxy in Delhi on 1 July. The film saw a world premiere on 7 April at Wicked Queer: the Boston LGBT Film Festival. There, it won the prestigious title of Best Short Feature (Audience Award). Selected at about 30 film festivals as of now, the Sisak team is currently touring different cities, showcasing their film. Their last outing, incidentally the first show in India, was at the recent KASHISH queer film festival in Mumbai. In this interview, Ansari talks to Catch about the silent genre, how personal the film is, and its politics. 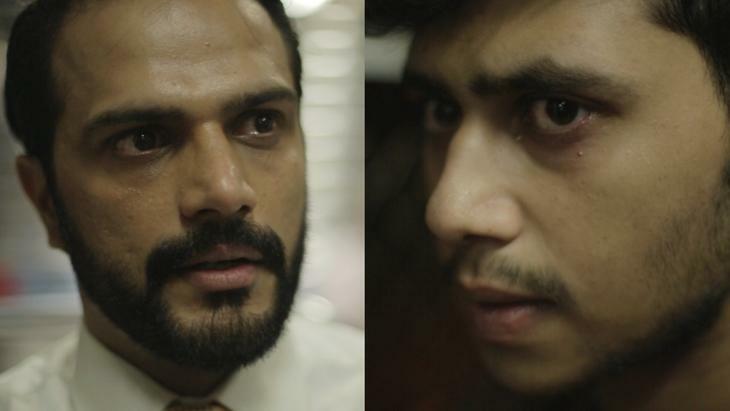 Faraz Arif Ansari (FA): That's right, it's the first silent LGBTQ story to be made in India. There have already been lots of LGBTQ films, of course, but this is the first silent one. DS: And what made you make a silent film? FA: So, this goes back to December 2013. I was in Nainital then, directing a musical for a school there. I was also working on the first feature film I wanted to make. It was a boy-meets-girl story, blah blah, you know. Right in front of me, on a cafe television, I saw the Supreme Court's Section 377 verdict. That led me to write another film. I just opened a draft and started writing. I didn't even know what I was writing. There was so much angst, anger, I wanted to post on Facebook, tweet about it, but I was unable to do that. So I ended up writing a film. When I revisited what I had written a week later, I realised I've written a film that has no dialogues in it. That was 2013. It took me about three years to go out and shoot the film, because I realised it's not an easy film to shoot, for it's silent. And it's shot entirely inside Bombay local trains. Writing is one thing, but directing is a totally different ball game. We shot it last year, in April 2016, and it took me about nine months to complete it. 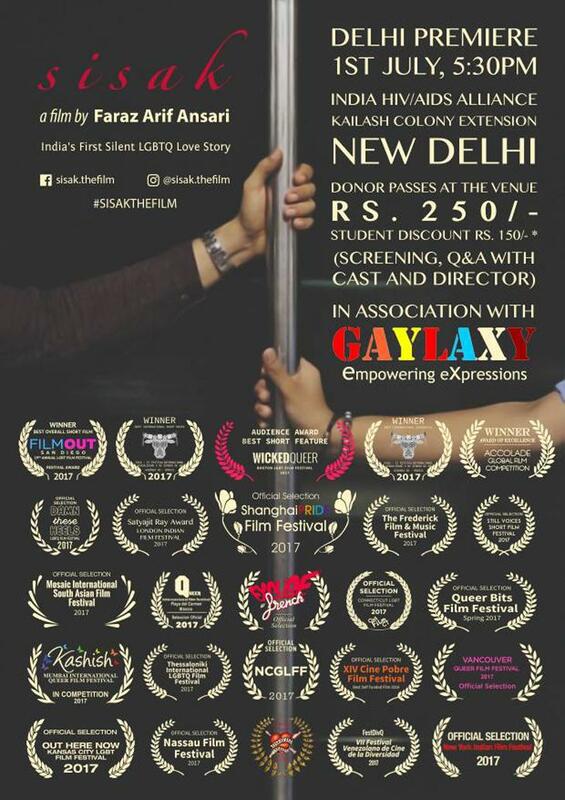 DS: How representative is your film, of the whole queer struggle for rights and visibility in India? FA: The film is a political statement, that I am trying to make into a love story. You need to sell something to someone to make them watch it, and then you deliver a message. It's like Aesop's Fables were always about animals, but at the end of it all there's a message. DS: Did you have a 'lesson' at the end of the film? FA: Yeah, yeah. There are three slides at the end of the film, which have got people crying! In Boston, there were 850 people in the hall, and lots of white American men. And I was really worried, “Would they understand my film?” But I could only hear sniffles. When the first slide came in, I heard a cry. And I thought, “Okay, done”. DS: This use of the Mumbai locals that you talk about, it's a common trope in films set in the city. What made you used it? FA: The train is so isolated, even when it's crowded. It's this transitory world, a parallel universe to the one you're living in. You're transported into a space where you can't do anything but... just be there. 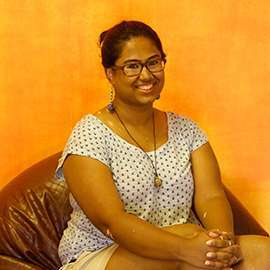 When I was researching for this other film I wanted to make, I read about the cruising [or searching for a sexual partner in public places] that goes around in Bombay local trains. Of course, I ended up making a film that's not about cruising, it's a love story. The entire film has been shot inside the locals, for a very pertinent reason. Because I'm a student of cinema, I always look at it as a metaphor. There are these two people who don't have the right to be what they want to be, or to love who they want to love in the world outside [the train]. But here they are, in the train, isolated, almost suspended in time. That gives them breathing space to explore. So I think that disconnect from the world, in a sense... It's very romantic also, the Bombay local trains. It has a certain nostalgia attached to it. And having grown up in Bombay myself, I always looked at it in that sense. DS: You said it was quite a struggle because it was a silent film, but specifically, in a 20-minute short, how crippled were you due to the lack of dialogue? Did you miss it at all? FA: Honestly, so far, whatever films I've written or made, I haven't really relied on dialogues very much. Because I think once a person starts talking, after a point, you disconnect from the person. DS: But also uncomfortable silences? FA: Yes, yes. Silences are a fling, they push you to see beyond [the ordinary] and make you see yourself. It's always meditative in that sense, and so is my film. You see the train, you know the train. It's not a [fancy train] with chandeliers hanging, my characters are not wearing Dolce & Gabbana. They're regular people, in regular clothes, living a regular life. I remember there was one line where I had written, “He weeps, and looking at him suffering, he suffers too.” Now, to translate that line visually without the use of dialogues, is very difficult. FA: You know, I think I really love symbolism. I grew up watching Kiarostami and other Iranian filmmakers. They had such strong censorship that they weren't allowed to say so many things, touch upon so many subjects, but they found a way to say what they wanted to. Through objects. [Majid Majidi's] Children of Heaven and The Colour of Paradise, for example [use this symbolism]. Is Children of Heaven really about the lost shoe? It's not, it's a political statement, a social statement that these directors are making. I'm a big student of Iranian cinema, and if you watch [Sisak] you'll see it's a very symbollic film. Without adding extra objects in the film, it [derives its symbolism from] the rail tracks, the windows, handles, book, a certain kind of shoes the man wears, a certain kind of churidar the boy wears. DS: It tells you where they come from. FA: Yes, how else would you know anything about these two strangers? Tomorrow if I take a flight, or hop on to a bus, I'll make certain observations and judgements about people without their saying a word to me. These things exist, but in cinema we don't really use it. We just spell it out, thinking “audience samjhegi nahi”, you know. And we spell it out in bold, large font sizes.